Didn’t bring your boat….not to worry, rent one! Pleasure boats for rent on Lake Texoma. If you don’t have a boat, no problem! Rent one from our list of Lake Texoma Boat Rentals providers. Rent a ski or tow boat and get out on the lake for some fun on the water. 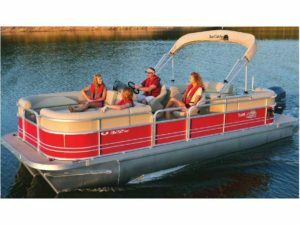 Pontoon boats or ski boats for rent by the hour, day or weekend. Rent a canoe or kayak and paddle around quiet coves. Boats for rent by the hour, day or weekend. Just want to go to the Islands for an afternoon on the beach? Water Taxies and shuttles are available too. Take a tour of the lake with a private cruise offered by Charter Services providers. End the day with a dinner cruise or moonlight sail. Enjoy a day frolicking on the water with a boat rental from Texoma Boat Rentals at Blackbeard Marine. Pontoon boats with optional tube rentals.